For rough sawn or smooth timber. Contains film biocide Preserver to prevent the surface growth of Mould/Algae. 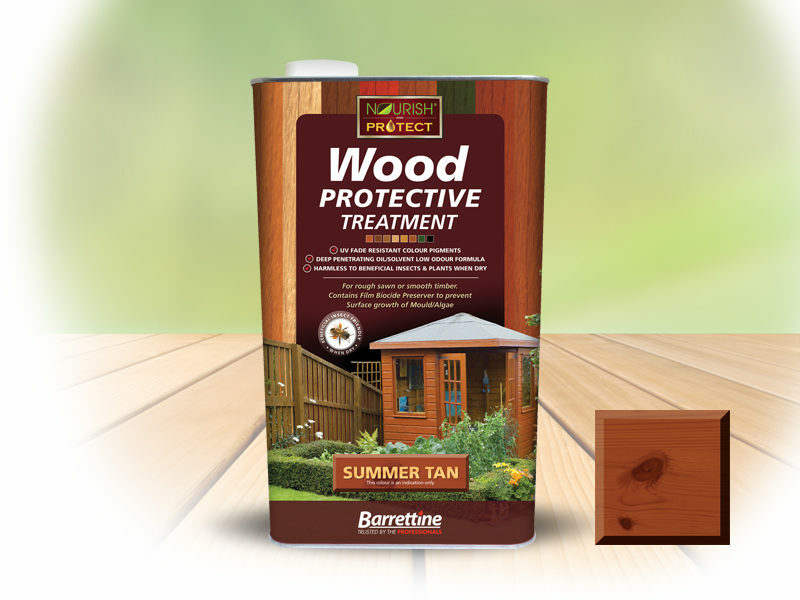 Ideal wood treatment for outdoor timber structures such as Sheds, Fences, Trellis, Pergola and timber Gazeboes. Provides excellent water repellency/beading. Oil / Solvent based for deeper penetration leaving a transparent/translucent finish colour effect to wood, where the grain texture is still visible. Contains water repellent resins and film biocide preserver to prevent the surface growth of mould/algae and together this helps reduce decay, swelling, twisting of wood. Pigments have good UV fade resistance and will help protect wood from UV damage. Available in a range of colours and clear, see colour swatch below. (Not ideal for decking or garden furniture structures as rub resistance may not be sufficient).